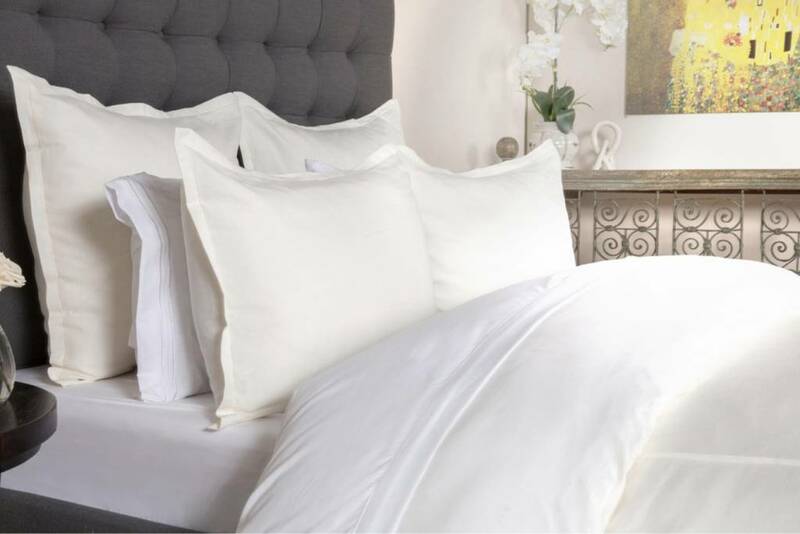 Our 100% European Washed Linen basic duvet cover is amazingly soft and elegant. 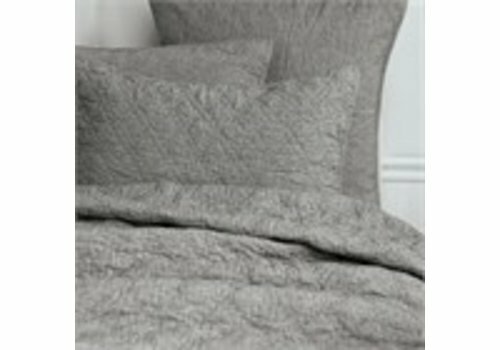 Duvet has a button closure and a ruffle edge. 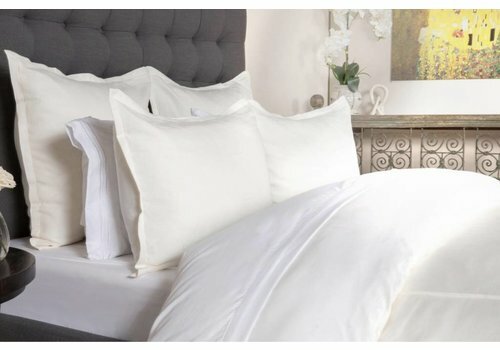 Tessa, made with an ivory colored cotton and linen blend, is a bedding set crafted with small touches like subtle piping and envelope closures. It is these thoughtful details, combined with its premium fabrics, that elevates Tessa to being a luxury item. 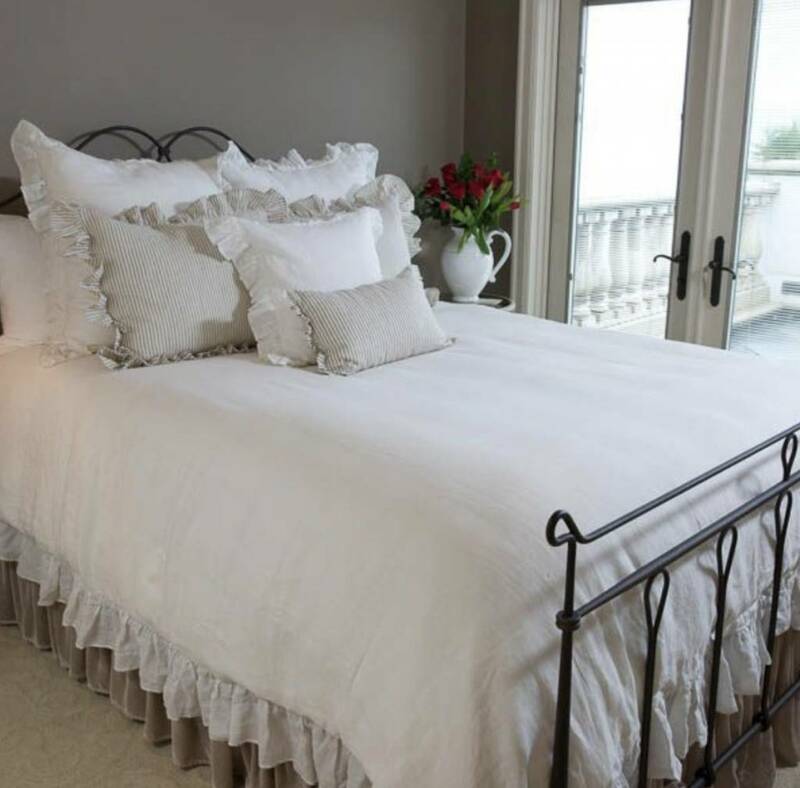 The Sutton Pillow Sham coordinates beautifully with other items in the Sutton collection. A cotton chambray cover features double-diamond stitching. Machine washable materials allow for easy care.